Change a mood, liven a party, celebrate an event—music can be an essential part of them all. Music, to me, is inseparable from the act of being alive. Even having never heard a note in any way, shape or form, I don’t think it’s possible that a human being wouldn’t at least, even inadvertently, hum a tune! It is connected to us in ways like nothing else. Most of us have songs that instantaneously carry us to past times in our lives. 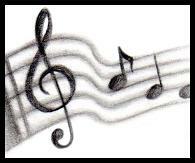 Lyrics and melody often come to mind at the slightest hint of similarity in someone’s comment or an event of some kind. Can you imagine life without it? I know I can’t! From a while back, when I first conceived the idea for this blog, I’ve felt this will probably be one of the most active pages, seeing as the love of music is shared by virtually all of us and I know it’s a regular part of my life. It is even more so, now that I’ve incorporated my “Basement Bops” almost daily. Whenever you visit here, I hope you find yourself singing along, tapping your feet or travelling down memory lane with me.